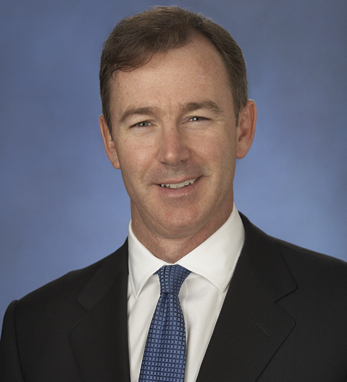 Thomas G. Connolly/Goldman, Sachs & Co.
Thomas G. Connolly is the global head of the Principal Debt Group within Goldman Sachs’ Merchant Banking Division. He oversees the leveraged loan and mezzanine investing strategies, which include GS Loan Partners and the GS Mezzanine Partners Family of Funds. Tom is also a member of the firm’s Partnership Committee. Tom began his career at Bankers Trust Company in 1990 and joined Goldman Sachs in 1996. He worked in High Yield Capital Markets in New York for two years before moving to London to serve as the head of European Leveraged Finance from 1998 – 2002. He was named managing director in 1999 and partner in 2004. A Bronx native, he earned a B.A. from Union College in 1989. His father, John, was born in County Monaghan and is the proprietor of the popular midtown Manhattan pub and restaurant, Connolly’s. His mother, Mary, hails from County Mayo. Married with three children, Tom also serves on several boards, including the board of Jumpstart, which promotes literacy and reading skills among underprivileged preschoolers.